Our Client is a leading manufacturer of spices & snacks and has been in existence for over 30years. They seek to hire a HORECA Sales Manager who will be tasked with increasing sales, brand visibility and lead the HORECA Chanel sales team. To effectively develop and manage operational HORECA sales force. Motivation of HORECA Sales Force via Effective Leadership and Implementation of Incentive Programs. Development and Measurement of Sales Force through regular Appraisal Reviews. Work within and lead the HORECA sales and support teams for the achievement of customer satisfaction, revenue generation, and long-term account goals in line with company vision and values. Development of customer relationships through regular operational reviews to ensure that stock availability and distribution opportunities are grasped. To liaise regularly with other departments to ensure product availability in line with sales requirements. Manage allocation of Customer Trade Spend and debtor’s book. Manage trading terms and condition in HORECA channel and improve CCS constantly. Develop a process of regular communication of key reports to directors (and sales team). Prepare regular reports and analysis on HORECA activities with detailed analysis. 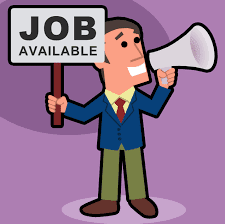 MUST Have 7– 10 years in experience in sales of FMCG products. MUST Have Proven experience in HORECA Channel. If you are up to the challenge, possess the necessary qualification and experience; please send your CV only quoting the job title on the email subject (FMCG Sales Manager – HORECA) to vacancies@corporatestaffing.co.ke before 17th July 2017. Kindly indicate current/last salary on your CV.